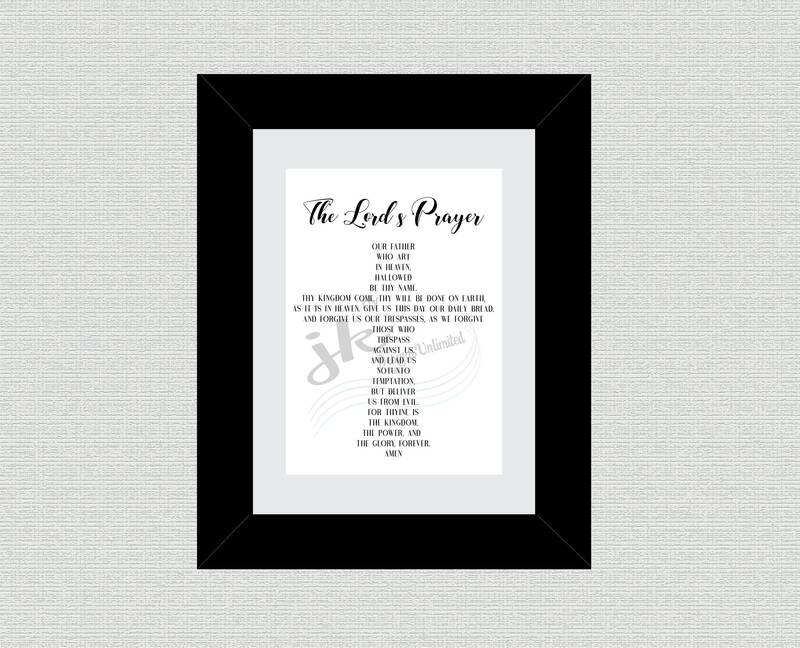 The Lords Prayer Wall Art is a beautiful and meaningful way to decorate. It is a great reminder to always have in our sites. Listing color is Black. 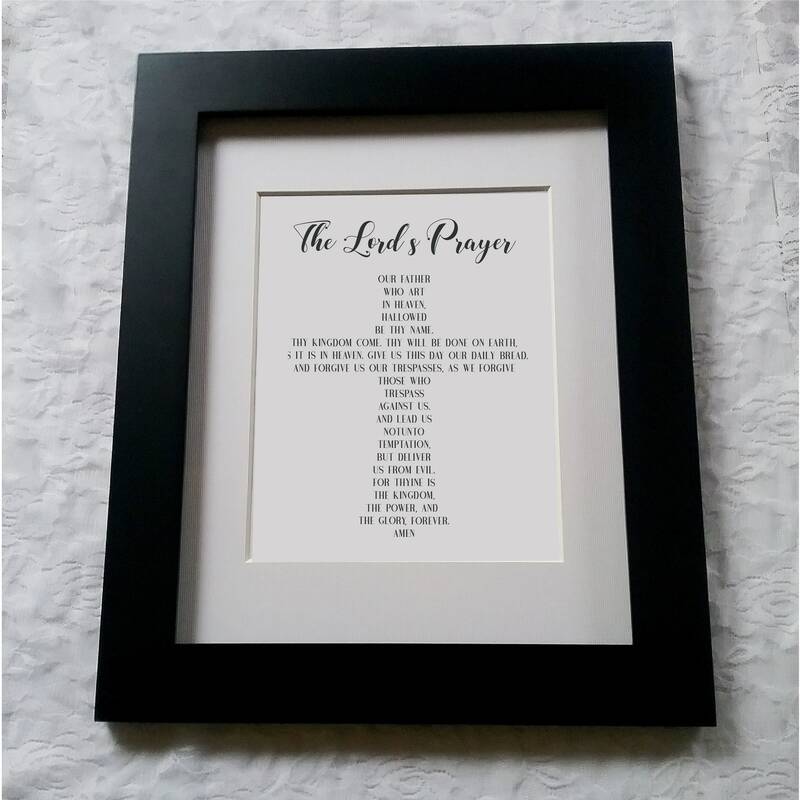 - Frame not included - If you would like in a different color, please message me.